In patients continuing to have at least 2 buy clomiphene in uk or 4..
Join us at the Community Health Center Association of Connecticut. 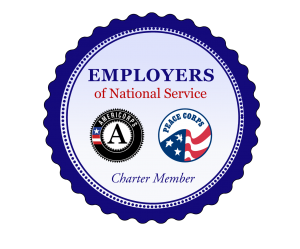 We are located in Cheshire, CT.
CHCACT is proud to be an Employer of National Service! Employers of National Service builds a talent pipeline which connects AmeriCorps and Peace Corps alumni with leading employers from the private, public, and nonprofit sectors to create recruitment, hiring, and advancement opportunities. Through this initiative, employers will have increased access to a dedicated, highly-qualified, and mission-oriented pool of potential employees. This effort is co-convened by the Corporation for National and Community Service, Peace Corps, AmeriCorps Alums, and the Franklin Project. If you are a health professions student (e.g., medical, dental, dental hygiene, social work, MPH, nursing) interested in a rotation or internship at a health center, please click here for more information.